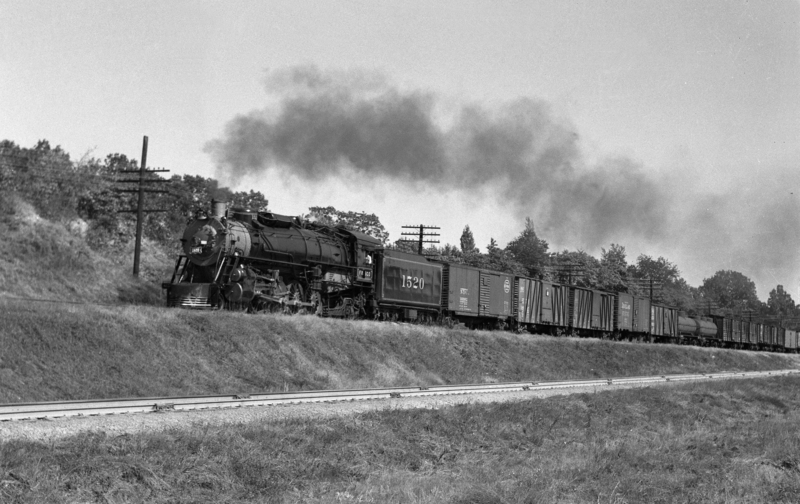 Frisco-built 4-8-2 4305 Extra Westbound at Southeastern Junction, St. Louis, Missouri in September 1942 (William K. Barham). 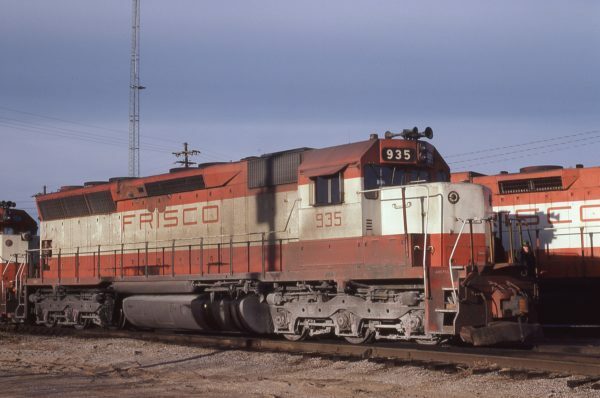 SD45 935 at Memphis, Tennessee on December 13, 1980 (D.M. Johnson). 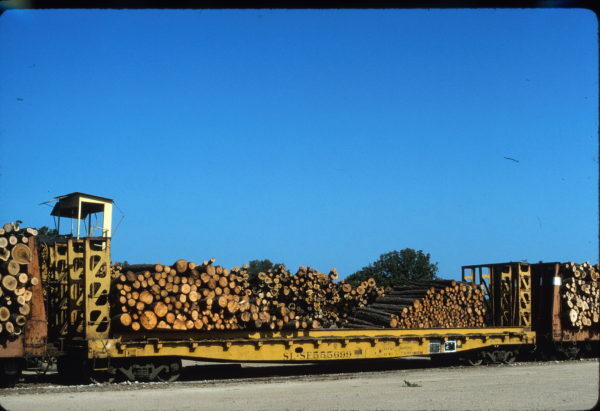 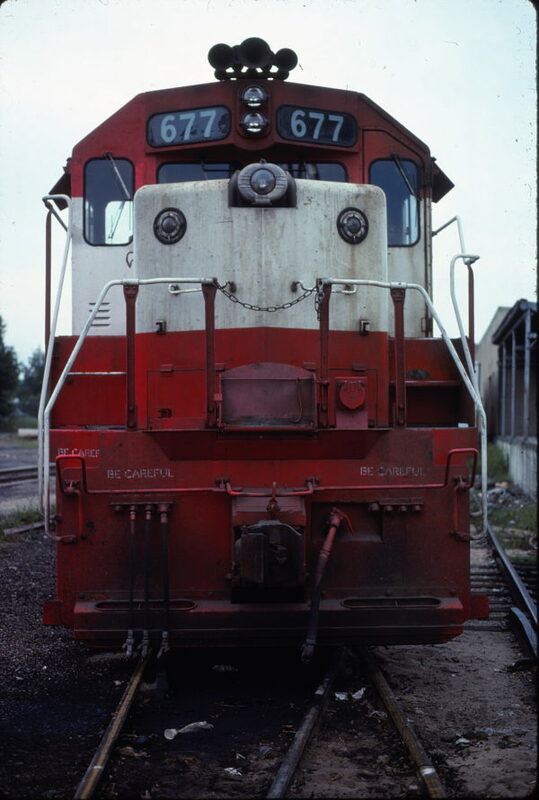 GP38-2 677 (location unknown) in August 1978. 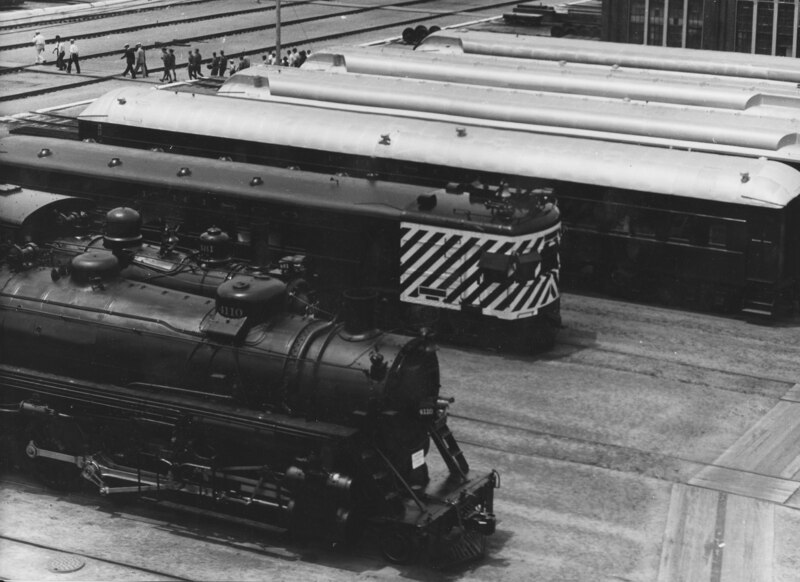 4-6-0 740 backing at Tulsa, Oklahoma on May 20, 1946 (Arthur B. Johnson). 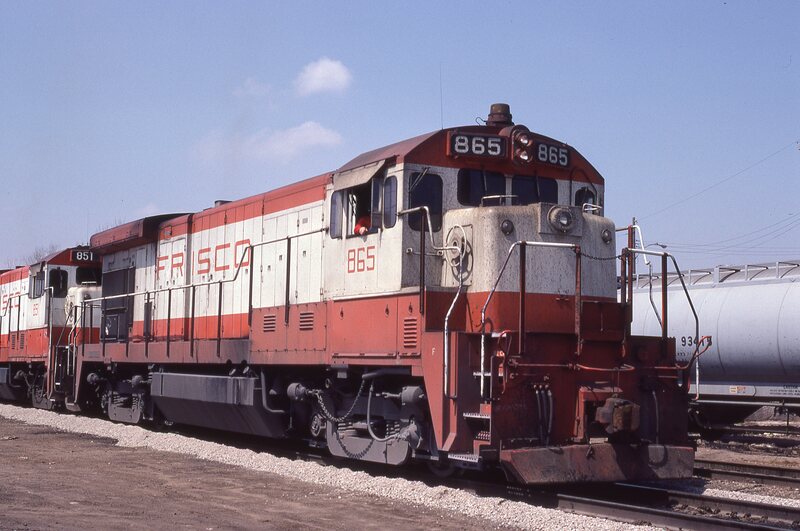 B30-7 865 at Kansas City. 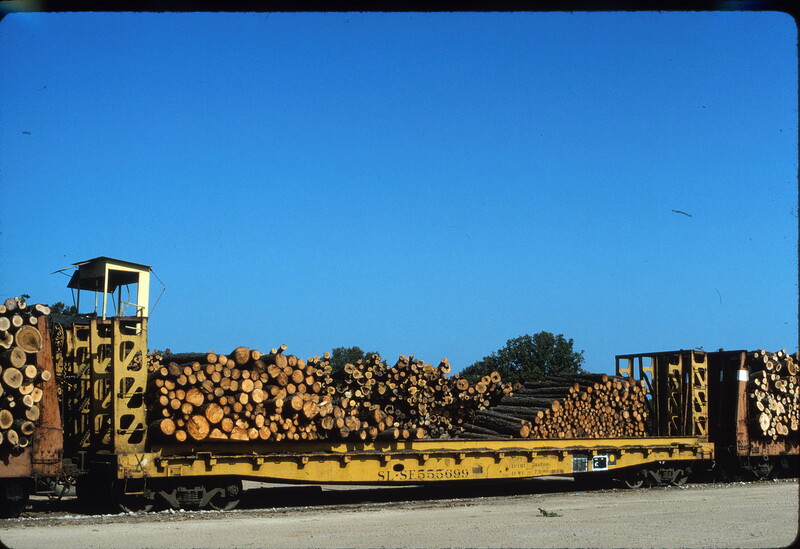 Missouri on April 18, 1980 (J.C. Benson). 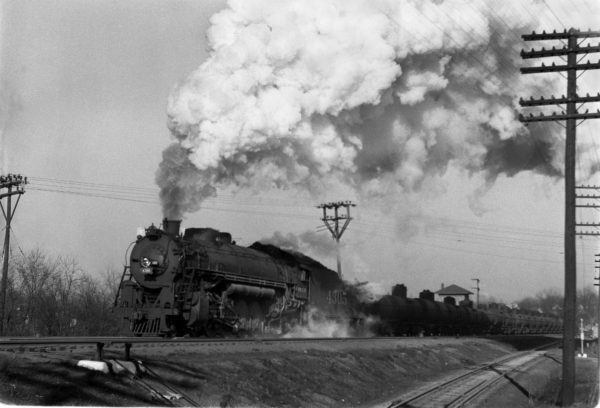 4-8-2 1520 Westbound at Kirkwood, Missouri in 1941 (William K. Barham). 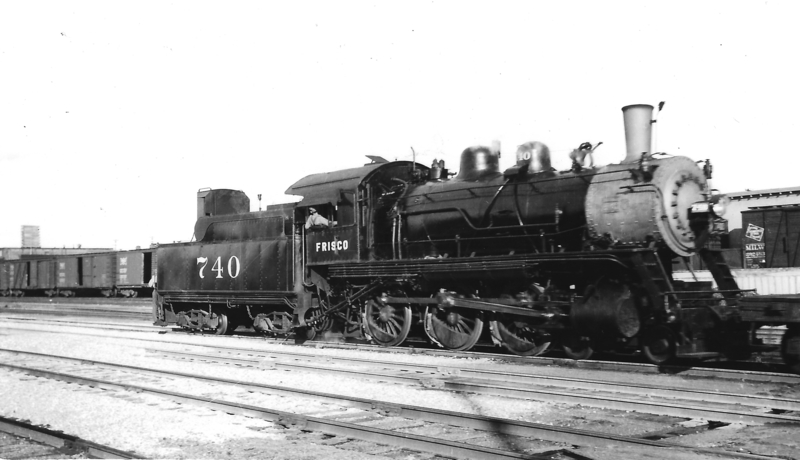 2-8-2 4110 in the foreground on June 12, 1935, Railroad Day at the West Shop, Springfield, Missouri. 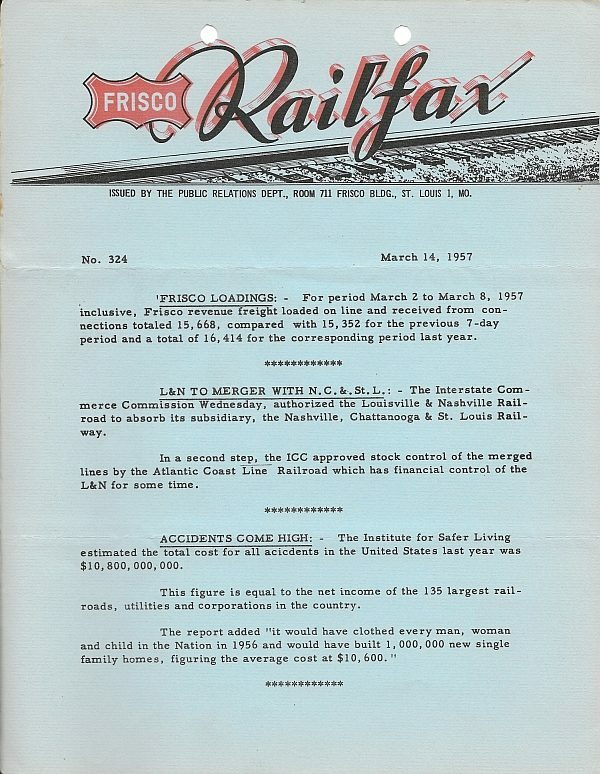 This photograph concludes the DH Collection on the Frisco Archive. 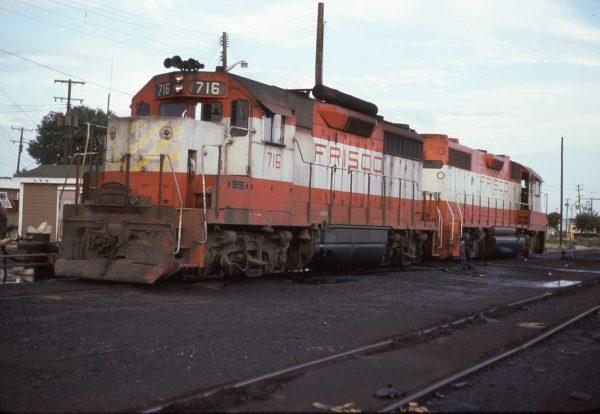 GP35 716 and GP38-2 447 at Pensacola, Florida on August 16, 1977.